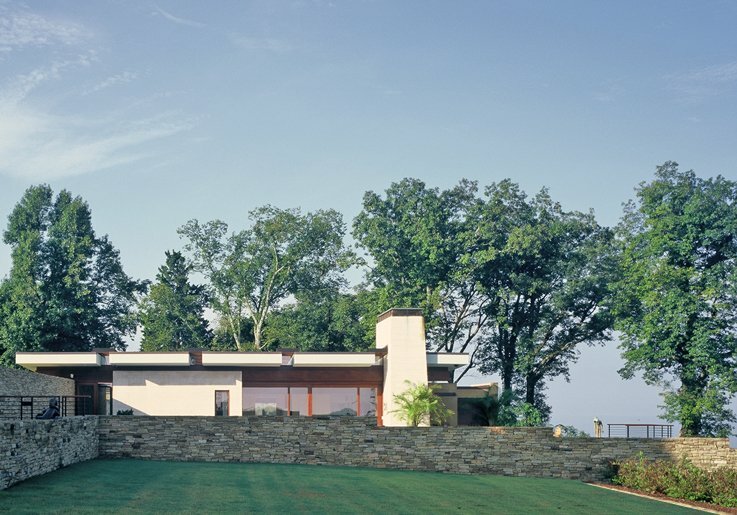 We were asked to design a pool and pool-house overlooking a mountain-top in Huntsville, AL. The program was simple - changing rooms, kitchen, living/dining area, exercise room and sauna. The pool-house is imagined as an open-air pavilion, connecting inside and out in an uninterrupted flow of space. Further, the roof is made up of thin panels separated with continuous skylights. The pool is designed to heighten one’s sense of the landscape and view by suggesting that the water is flowing off the mountain-side like a waterfall.